Your Brickyard Creek Association Board of Directors wants to provide you with an update on an important issue presented at the May 28th Annual Meeting. Please spend some time to review this message and contact any of the board members listed at the end of this communication with your questions. At the May 2016 Annual Meeting, the BYC Board of Directors stated the BYC Declarations stress that cabin owners do have the right to rent their cabins. Over the past few years there has been an increase in the number of owners that rent and consequentially in the frequency of violations of our previously established rental rules. A Rental Issues Subcommittee appointed by the board has been following these issues for several years and has employed measures to help make some areas of functioning run more smoothly, but some difficulties have persisted. In the past, this subcommittee, along with the Winfield Inn, the BYC Manager, and several non-renting owners have grappled with the resulting day-to-day issues. Unfortunately, BYC Manager Jeffery Garrett ends up spending a significant amount of time addressing these issues. 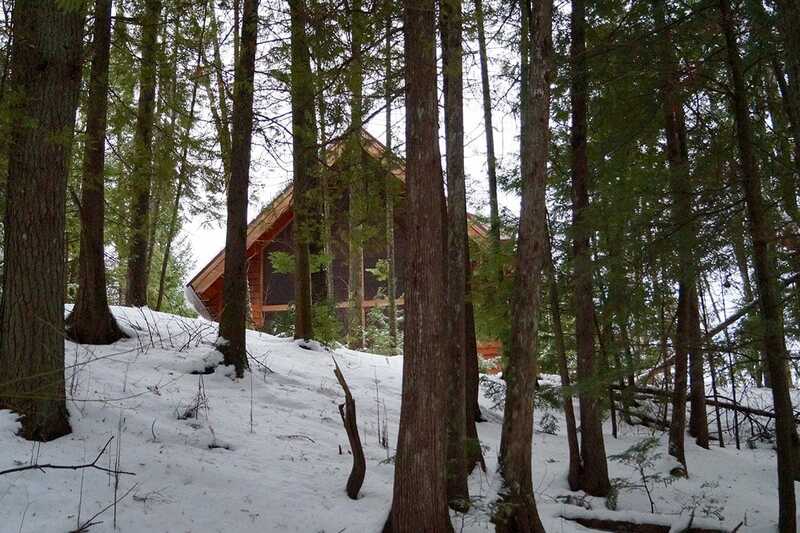 This concern has impacted the residential cabin owners who do not rent, who buy and spend time in BYC looking for peaceful experiences at their cabins in the boreal forest . . . especially those who have a cabin near a cluster of rental cabins. The situation has reached a crucial point the past two summers when the board of directors received a number of emails and verbal complaints from several owners that do not rent. Following the Annual Meeting in May 2016, the Rental Issues Subcommittee expanded and the membership updated to include additional owners that rent – Cindi Landon and Becky Heinrich. The prior work of the subcommittee has been informed by the contributions of a number of owners that rent and owners that do not rent. The expanded Subcommittee recognizes the need to more fully engage owners that rent in the conversation and problem-solving about the various rental issues. During the summer of 2016, Landon and Heinrich made an effort to gather information on rental issues from other BYC owners that rent. At the same time, the board members of the Subcommittee (Kay Biga, Lin Bick, Dale Klubertanz, and Terry Gibson) also gathered information on rental issues and sought legal counsel on the scope of the board’s authority in establishing rules that pertain to units that are in a rental program. In early September 2016, the members of the expanded Subcommittee listed above met to share the information that had been gathered and to propose a change in rules to the BYC Board of Directors for consideration. The following list of proposed rules have been initially discussed at the October 1st BYC board meeting. For all rental units in BYC a local agent that can respond in a timely manner should be appointed. The name and telephone number(s) of the local agent shall be posted on the BYC website and distributed to all BYC association members at the annual meeting in May 2017. If incidents occur members of the BYC community will be instructed to call the designated local agent for the specific rental unit. The local agent must be approved by the BYC Board of Directors. Occupancy limits shall be established for each unit that conform with the Wisconsin State Statues and the Bayfield County Department of Health Requirements. The occupancy limits will also be based on the floor plan of each unit. Currently, many rental units have occupancy limits that were established by the owner in collaboration with their respective rental agency. The established occupancy limits are subject to the review of the BYC board. A minimum two-night stay will be required for all units. Rental agencies will be instructed that under no circumstances should less than two-night stays be booked. The BYC rental rules should be prominently displayed in all rental units. A copy of the rental rules should be sent to a renter when they book the unit and an additional copy should be provided to the renter when they register. The short form of the rental rules should be signed by all renters. A copy should be retained by the renter and the rental agency for the unit. So, what’s next? The Rental Issues Subcommittee will continue to refine and expand on these proposed rules over the winter months. A group of BYC volunteers will also be contacting BYC owners that rent to engage them in this discussion and to gather additional information on rental issues. The collective goal is to have a set of rules presented to the BYC Board of Directors at their meeting in Spring 2017. The board will in turn share these with all of the members of the BYC Association prior to the Annual Meeting scheduled for Saturday, May 27th, 2017. The board regards the BYC vision and mission statements to be the foundation of this community. We believe that all members are committed to maintaining this unique environment, promoting responsible educated citizens, sustaining a network of partnerships and creating a legacy of responsible stewardship for all who share in this experience. Once again, let’s be clear the board agrees that cabin owners do have the right to rent their cabins. The board has the responsibility to address issues as they arise and seek, through open-dialogue and communication, solutions that respect all members of this community. We are optimistic that the issues related to rentals can be resolved.